Cancer can devastate us physically, mentally, emotionally, financially, and even spiritually. The horrific disease can touch everything in our daily existence and wipe us out in several ways that are quite difficult to explain. While there are lots of discussion around regarding the potential ‘cures’ of cancer, it is always better and wiser to prevent it from invading your life. One of the most effective ways to fight against this exhaustive villain and cut your risk in half is to keep a close eye on your daily diet and eliminate the foods causing cancer from it. To know more about the scientifically proven cancer-causing foods, keep reading. Health is a wealth that cannot be made in one fine day. To earn it, you need to work towards it right from the beginning by reducing the intake of unhealthy eatables. It is very important to understand that food does have the power to cause cancer! As per a research, there were nearly 569,500 deaths by cancer in 2010 and one third of this figure has been caused by obesity, physical inactivity, poor nutrition etc. Hence, if you want to ensure an overall health and well-being by keeping cancer at bay, stop eating these foods right now. Refined sugars and the products made with them are the biggest cancer-causing foods identified by far. These include fructose-rich sweeteners like high-fructose corn syrup (HFCS) and processed sugary items, such as brown sugar, cakes, cookies, pies, juices, sauces, etc. All these work as the sources of major insulin spikes, which feed the growth of carcinogenic cells. Essentially, cancer cells metabolize refined sugars easily and quickly, which accelerates their proliferation. However, you can always skip refined sugars and go for healthier options like organic honey, maple sugar, and coconut sugar. Soda pops and aerated (carbonated) beverages have always been at the center of controversy for causing health issues like cancer. They are high in calories and have no nutritional value. Moreover, being loaded with HFCS, colorings, food chemicals, and other artificial ingredients, they are considered as bad for all aspects of your health. According to researchers, consuming only two soft drinks a week can acidify your body and double your risk of getting cancer by feeding the carcinogenic cells. Dark-colored soda pops also contain 4-methylimidazole (4-MI), which is a derivative of caramel color and has been proved to cause cancer. Multiple studies have revealed that one bottle of soda apparently contains as many as 10 packets of sugar. ‘Diet’ drinks even contain more artificial sweeteners like aspartame, sucralose, saccharin, etc. are even worse than conventional sugar-sweetened ones as they are linked to cancer and a range of birth defects. Refining eliminates all nutritional value from flour, which is then bleached with chlorine gas to create that appealing ‘white’ color. But what makes it a cancer-causing agent is its excessive carbohydrate content, which leads to increased insulin resistance. As it has a very high glycemic index, it spikes the levels of insulin in the bloodstream rapidly without providing nutritional fuel. This sudden raises in sugar levels feed cancer cells and promotes their growth. Studies have found that regular consumption of such high-glycemic foods increases the chance of breast cancer in women almost 220 percent. Grilled red meat can taste delicious but consuming a lot of it can increase your chances of developing cancer. When grilled to a certain point, the molecular structure as well as the chemical composition of red meat get altered. As a result, the meat starts releasing certain carcinogen named ‘heterocyclic aromatic amines’. Studies have proved that having grilled red meat for 10 years on a daily basis can increase men’s risk of getting cancer by 22 percent and women’s by 20 percent. Therefore, it is wiser to replace grilling with cooking in skillet, broiling, and baking. 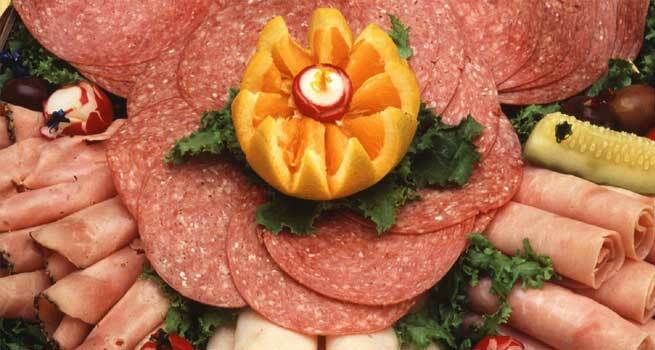 Most of us love processed meat products like bacons, sausages, hot dogs, lunch meats, etc. but by consuming these you are sending an open invitation to cancer. They are processed by using chemical preservatives and flavorings, such as sodium nitrate, sodium nitrite, etc., which not only make the products look fresh but also get converted into cancer-causing nitrosamines in the body. And indulging in them can make you 50 percent more prone to develop colorectal cancer than others who choose only uncured meat products made from grass-fed sources. Hydrogenated oils are basically vegetable oils that are extracted and treated chemically. They are used to preserve processed foods in order to keep them stable and increase their shelf life. However, the unhealthy omega-6 fatty acids present in them are known to change the structure of cell membranes all over our body, which leads to a host of fatal diseases including cancer. Though manufacturers are trying to replace these unhealthy oils with palm oils and other safer alternatives these days, trans fats are still widely in used for processing foods. 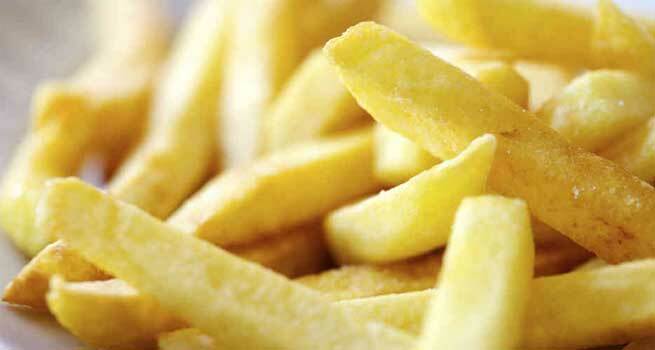 Potato chips and French fries are one of the most popular snacks that we love to munching on anytime. But when the potatoes are treated to high temperatures during frying or baking, a carcinogenic substance named ‘acrylamide’ is formed in them in very high amounts. So, these items should be avoided at all cost. Any kind of canned food is dangerous for your health. Most cans have a lining of bisphenol-A (BPA), which is a chemical linked to infertility, intestinal damage, heart disease etc. BPA is also known to cause cancer indirectly through DNA damage and genetic alteration. Therefore, try to stick to fresh or frozen foods in order to protect your DNA and prevent cancer. Although the GMO industry has been growing exponentially, the genetically modified crops actually cause rapid growth of tumor and cancer. These days, more than 90% of derivatives of soybeans, corn, canola, etc. are genetically modified. But experts agree that more and more testings were needed before adding GMOs to tons of food items. As a result, the chemicals used to grow the crops are infiltrating our entire food supply at an alarming rate. Hence, stick to certified organic and non-GMO products or locally-grown foods. Microwave popcorn may seem to be convenient but there are significant risks of cancer associated with them. The packages come lined with a certain class of chemical compounds named perfluorooctanoic acid (PFOA), which is recognized as ‘likely carcinogenic’ by the U.S. Environmental Protection Agency (EPA). PFOA is not only linked to infertility and tumor growth but also cancers of liver, pancreas, and testicle. 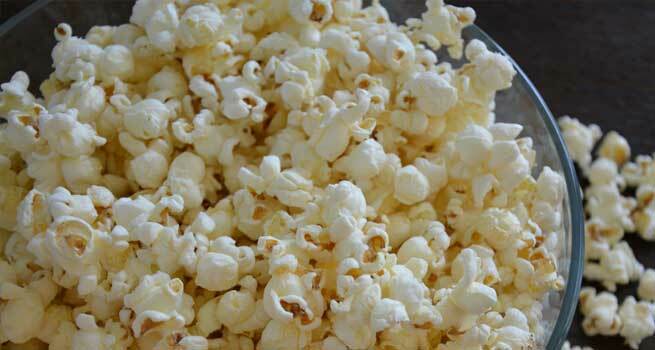 Another chemical called diacetyl is used in popcorn to add an additional butter flavoring to it, which releases toxic fumes leading to lung damage and cancer. In addition, the corn kernels chosen for microwave popcorn and the oil used in processing are likely GMO unless organic. Hence, if you want to stay healthy, opt for organic popcorn and make it in the traditional way. 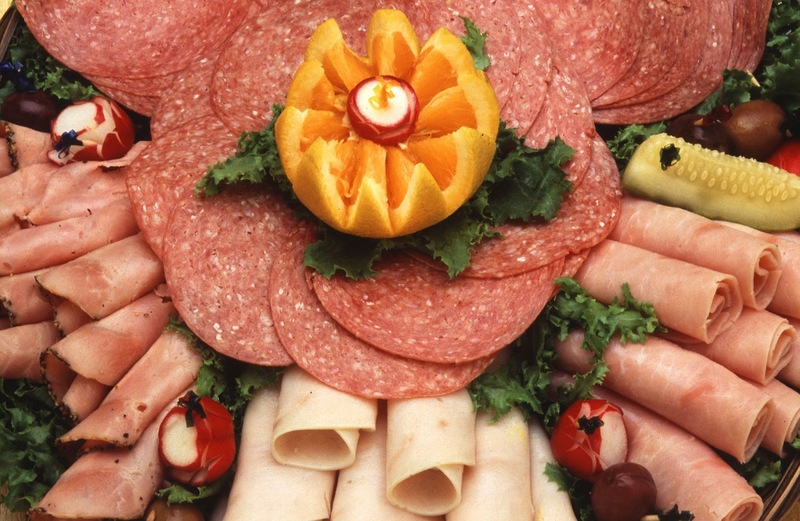 All sorts of salted, pickled, and smoked foods are known to have high risk of cancer. Typically, all these processed foods contain preservatives like nitrates and other additives to get a prolonged shelf life. But as those toxic chemicals accumulate in the body, they cause damage at the cellular level and you end up developing debilitating diseases like cancer. In a commercial farming environment, tons of salmons are crammed in a small space, which often results in bacterial, parasitic, and viral outbreaks. To keep these under control, farmed salmons are usually treated with pesticides, antibiotics, flame retardants, etc. They also get contaminated with carcinogenic chemicals like PCBs (polychlorinated biphenyls) during the same process. another high-risk cancer food. 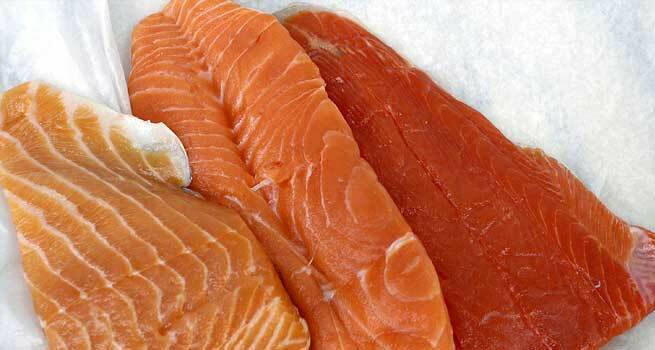 Farmed salmons do not contain as much vitamin D as wild salmon. They also lack essential omega-3 fatty acids in sufficient amounts. Try to indulge in organic foods as much as possible. Avoid foods with labels mentioning ‘diet’, ‘fat-free’, and ‘light’. Always consume fresh and raw items or stick to their clean frozen counterparts. Each of your meal should contain plenty of non-starchy vegetables. Reduce your grain and sugar consumption to a large extent. Make sure that you use only high-quality coconut oil, olive oil, clarified butter, or grass-fed butter for cooking. Eat pastured and grass-fed meats and dairy goods. Almost 98% of all conventional produces like apples, grapes, strawberries, etc. available in stores are recognized as ‘dirty fruits’ by The Environmental Working Group (EWG). Unless you choose fruits labeled as ‘organic’ or verified to be ‘pesticide-free’, you are NOT eating healthy.